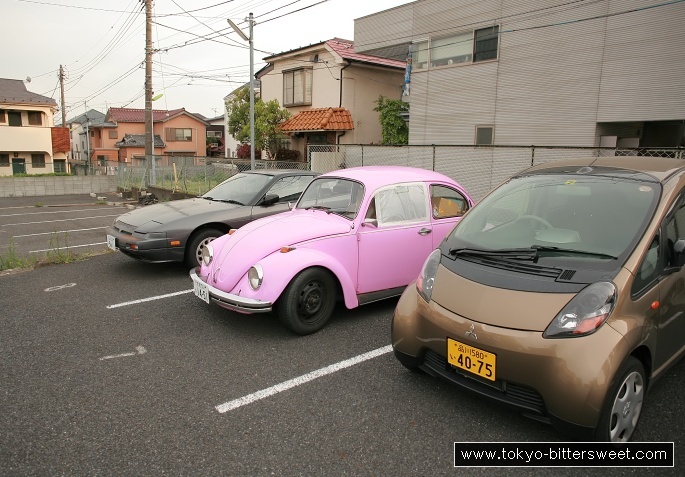 Now this is individualism in Japan! Not only has someone bought a foreign car (instead one from a trusted Japanese manufacturer), it also is a real vintage oldtimer. On top of it all the color is shocking pink. But apparently the owner has had some problems with it… or did some mischievous neighbor smash in that side window…?